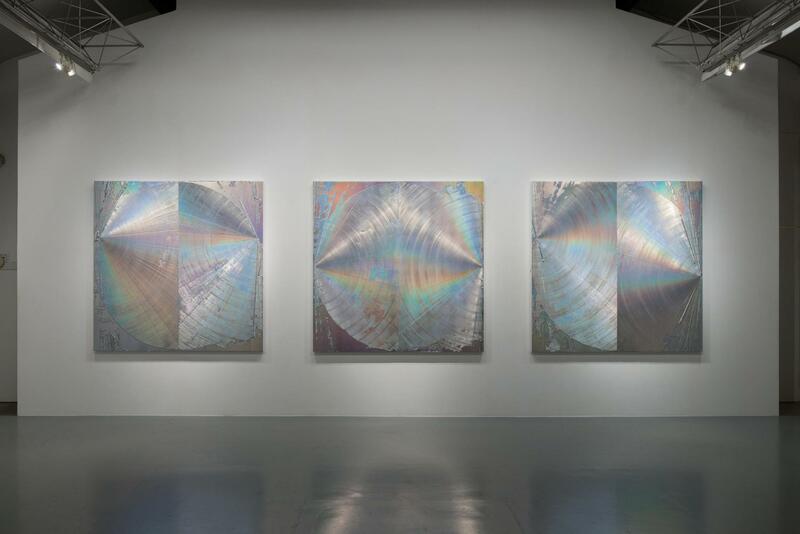 As image and color continuously change within the conditions of ambient light and viewers’ movements — Daisuke Ohba’s (b.1981) iridescent pearl paintings evoke an illusion that emerges and fades through the transience of time. With the cast of the viewer’s gaze, the painting constructs a quiet dialogue by developing a relationship in pictorial space as the image, crystallized within the mind of the painter, is activated and brought to life. While these responsive effects - inducing light movement and flickering in the viewer's eye - have been intended through methodological experiments according to optical laws, the painting also embraces the notion of chance during the process of painting, thus producing an unexpected formation of patterns. The artist’s third solo exhibition with the gallery references various approaches in the history of contemporary art, and marks a new challenge in reconciling ideas such as chance and regularity that he has been continually exploring. 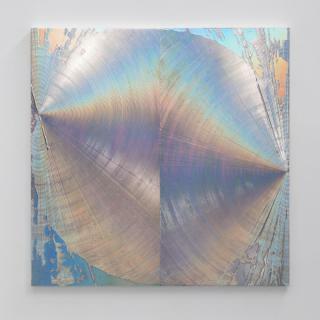 Since 2005, Ohba's main medium has been iridescent pearl acrylic paint, and he has recently progressed with the use of hologram pigments. Compared to his past tableau where the image was gradually introduced through ambient light, with hologram pigment all colors in the spectrum of light are awaken at once across each corner of the painting. 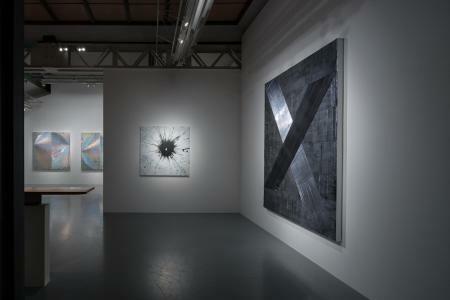 His new series prioritises geometric and mathematical forms; for example, a function "X", a lined cube causing an optical trick, or the edge of two colliding circles. Ohba makes these paintings by first coating the entire surface of the support with paint, and then brushes a symbolic pattern in one gesture. The artist's physicality is emphasised embraced with extensive strokes with a long self-made squeegee, while the artist adheres to the self-imposed and regulated methodology. The visual noise such as paint blurs and uneven pigments that are sporadically evident make the qualities of these works all the more prominent. When the viewer walks in front of the tableau, a mechanical light movement changes sequentially from silver, to green, yellow, orange, red, violet, and blue. These colors run along the paint groove, and an accidental "noise" kept intact from the artist's studio gives new texture and rhythm in appreciation of his new painting. Upon reflecting on his own practice, Ohba cites viewpoints crucial to the work: "Relations, chance, light, dimension, and action." 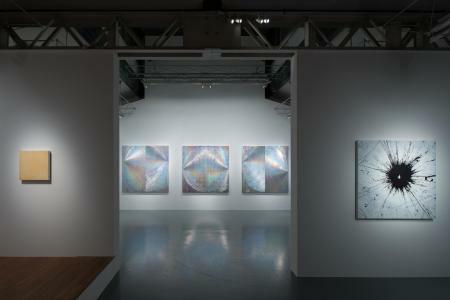 The artist has been focused on the construction of images operating within the polarity of light and shadow. 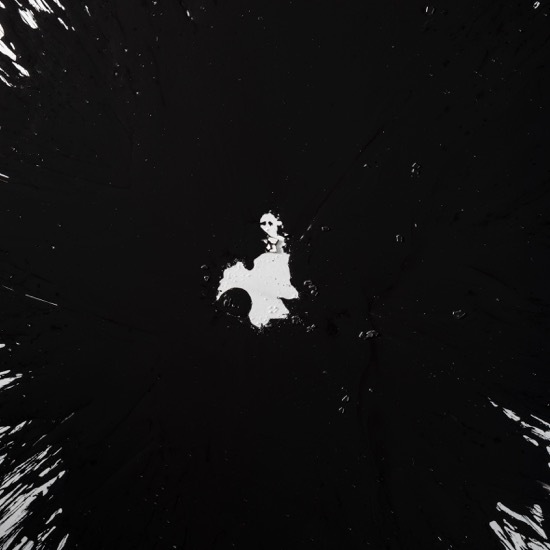 In this exhibition however, the artist uses the color black to clearly outline actions that are accidental, thereby updating his painting theme "Ma (in-between) = existence". In contrast to the brighter tableau part of the work, which seems to encompass the light itself, Ohba's new body of work showcased in this exhibition introduces black as a denial to the concept of color. 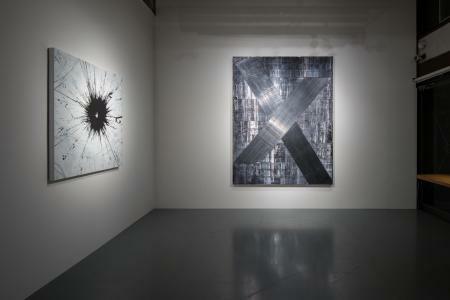 His latest work, "0NE" (2017) features an explosion of black paint smashed on the painting's support, while "X" is coated through the artist's unique alchemy to produce a dull shining metallic texture similar to lead. Considering painting as a site of an event, Ohba's new series gains a conceptual dimension by restricting his palette to monochrome and clearly outlining the act of painting itself. 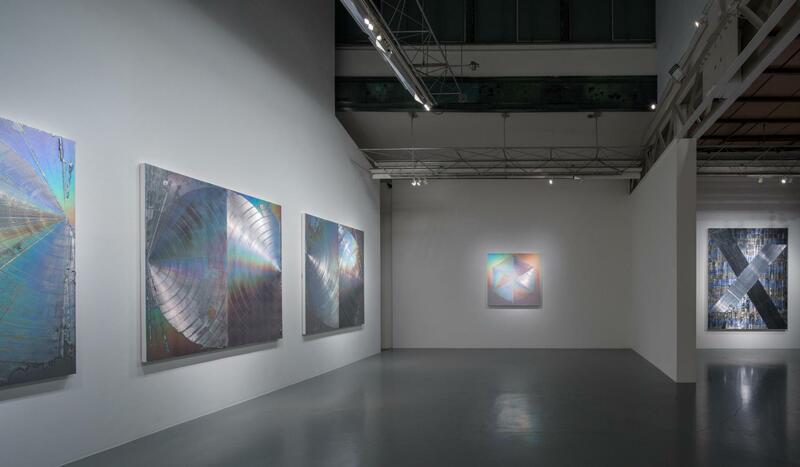 In this exhibition, many key ideas that form the origin of contemporary painting in particular relation to the depiction of light and space - such as Op, Kinetic, and Action - are simultaneously rehearsed and explored using synthetic material. When a three-dimensional figure such as a cube or a sphere is reduced to a straight or a curved line, the forms travel between dimensions - between the visible and invisible, existence and absence, trace and movement. It is in this transition that the futuristic appearance of a hologram begins to suggest a world beyond three-dimensionality, and the use of black colour takes on a more conceptual meaning. The exhibition marks Ohba's new challenge where the physical law that rules our visual perception intersects with the conceptual law that governs the nature of our rationality - a fierce attempt to integrate diverse ideas conceived within the artist's practice.